Our Customers helped us win the Super Service Award! GIC has earned the Super Service Award for 2016! What is the Super Service award you say? 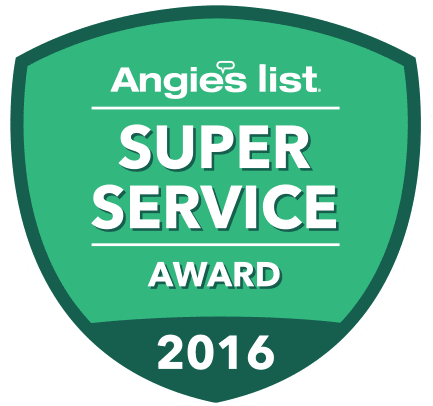 Angie’s List chooses top A-rated companies in their category, within their market for this honor. The nomination comes from customers giving reviews that state excellent service from a company. Even though Angie’s List gives us the award, it is the reviews from our customers that got us nominated. We would like to thank our customers for their reviews in order to get us to this point. When choosing a contractor, customers would like to have the confidence that they are choosing a good one. With the help of companies like Angie’s List, you can be sure you are choosing a contractor that will treat you right. This past year has been a wonderful year for our customers and business. We are looking forward to helping even more homeowners in the next year make their homes energy efficient! Thank you again to our wonderful customers!! !